RockChickenz: Cobi premieres highly anticipated new track "Prophet Story"
Cobi premieres highly anticipated new track "Prophet Story"
While singing the blues in smokey bars throughout Northern Minnesota, 12‐year‐old Cobi always had a vision of touring the world. He was eight years old when a family friend first taught him a few basic chords on the guitar. With money earned from mowing lawns, Cobi soon bought an electric guitar and began teaching himself to play his new instrument by ear, relaying heavily on his Godfather’s extensive eclectic music collection. Cobi went on to team up with five other musicians in Boston to form the group Gentleman Hall, a synth heavy alternative rock band who would later sign with Island Def Jam Records. With local radio play and multiple TV syncs, the band performed at the Billboard Music Awards and were named "Best Breakout Boston Artist” at the MTV VMAs. Cobi left Gentleman Hall in 2014 and moved to Los Angeles to follow his heart and desire to play his soulful style of rock and folk. In 2016 Cobi toured as a guest vocalist for the electronic act Above and Beyond performing at iconic venues including Royal Albert Music Hall, The Hollywood Bowl, the Sydney Opera House, the Greek Theater and more. Cobi's debut single was released on May 6th 2016. As powerful of a song as they come, ‘Don’t You Cry For Me’ caught the ear of industry veteran Lyor Cohen who immediately signed Cobi to his new label 300 Entertainment (alongside Grammy nominated artists Fetty Wap and Highly Suspect). The track features a seventies vibe with a piano and moog under Cobi’s soaring vocals complimented by his layered backing vocals. The track reached #1 on Spotify’s Most Viral Chart (World) and has surpassed 12 Million streams to date. 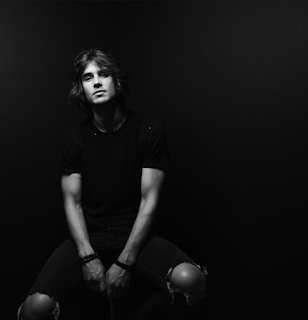 Cobi is currently on tour with his band, performing at venues and music festivals throughout the US and Canada. He’s set to tour alongside Boy & Bear October 2016.